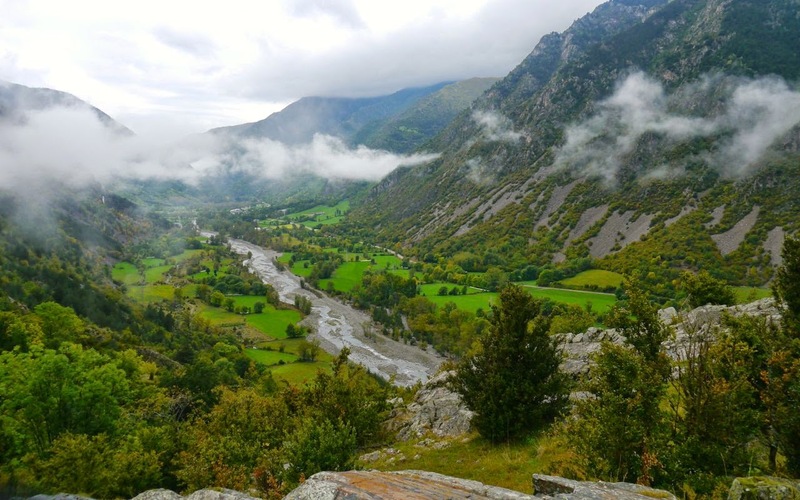 Walking in the Vall de Boí is really well organised and most people will find enough to keep busy for 2/3 days within the confines of the valley itself. 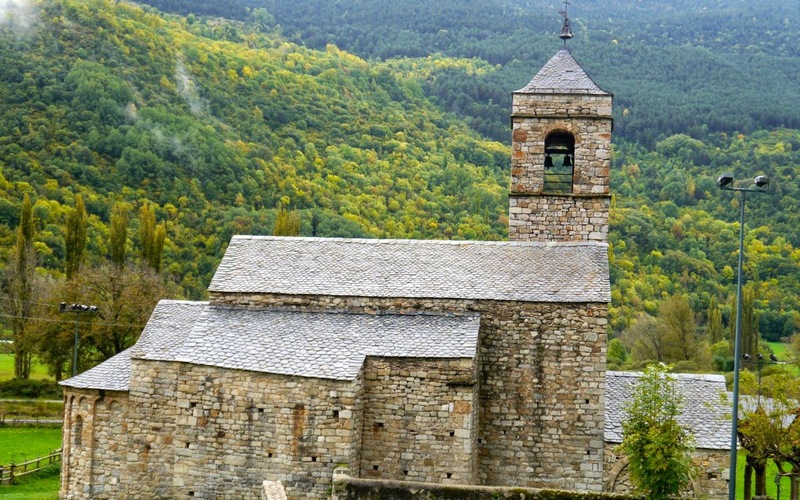 Visiting the Romanesque churches provides a series of mini objectives and with bars and restaurants in all the villages there are also plenty of places to stop and relax. The paths themselves are wonderful. In nearly all cases, they are based on the original inter settlement routes and are as old as the villages themselves. Designed for pack horses/ponies as well as pack people they are perfectly graded and walking along them is a real pleasure. Depending on how much time you spend in the churches (they are not that big) you can get around the valley in 9/10 hours. It's a challenge, but not quite as mad as it sounds as the paths are so easy and such a pleasure stopping is a problem. I went round in a day, a wet day at that, and thoroughly enjoyed it. In describing the route I will try and point out the options a more sensible person would have considered, but there are definitely two good circular walks. 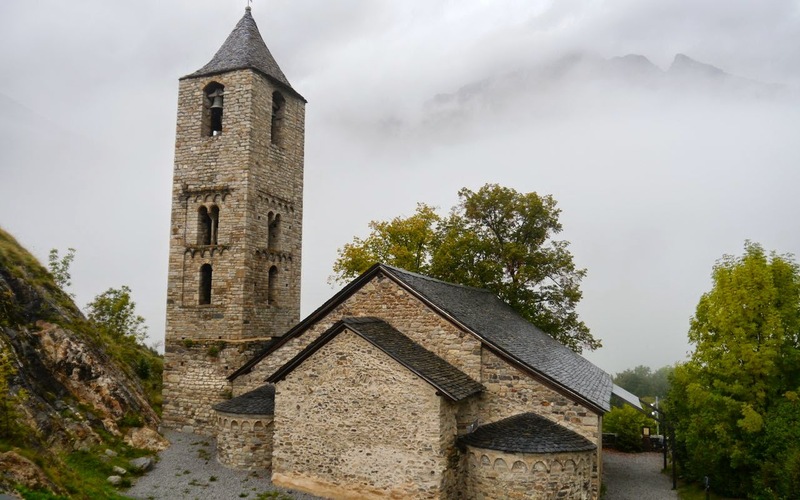 From Boí I went up to Taüll, up the valley to east, a beautiful village which has two Romanesque churches. The old paved path (marked the GR11) leaves Boí on its eastern side and after a kilometre reaches Taüll. 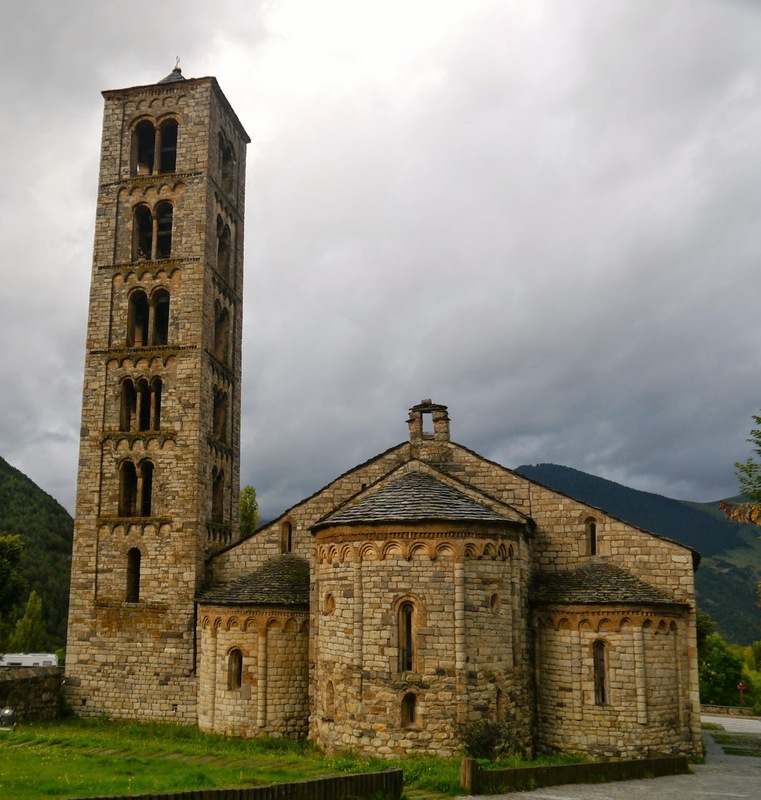 Take the first signed turning into the village and visit Santa Maria (1 on the map), located right in the tightly packed centre of the village, and then drop down to Sant Climent (2) which is to the east and on the 'outskirts'. After walking back along the road find the path used to walk up to Taüll, follow it back down to Boí and visit Sant Joan (3). 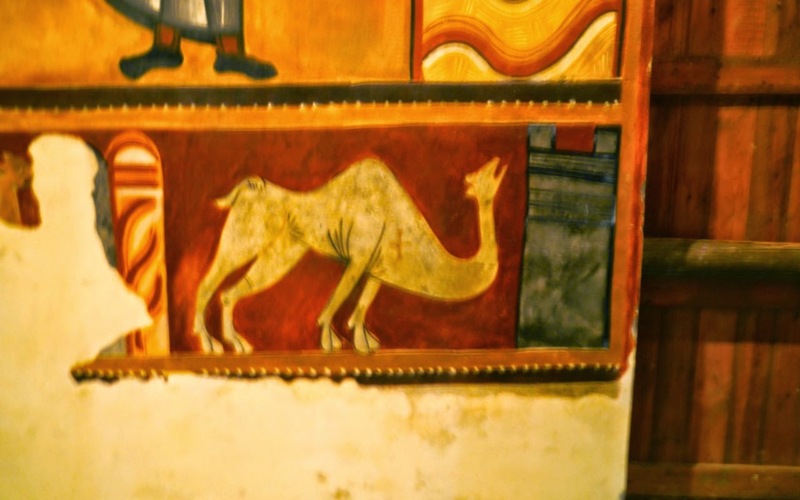 Even if you're on the one day challenge, and not really a fan of Romanesque churches the beautiful murals inside the church have to be seen (you can even ascend the tower). From Boí take the path west out of the village down across the stream and up into Erill de Vall. 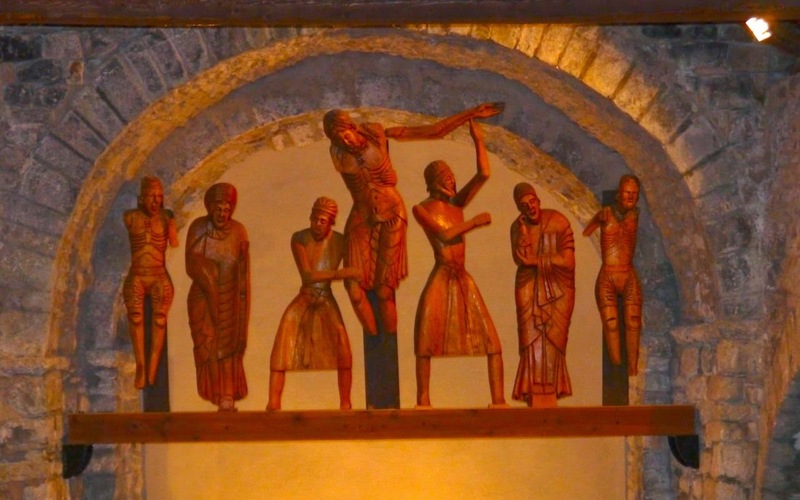 The bar at the side of the church, the Santa Eulàlia (4), is an ideal place for a coffee stop. 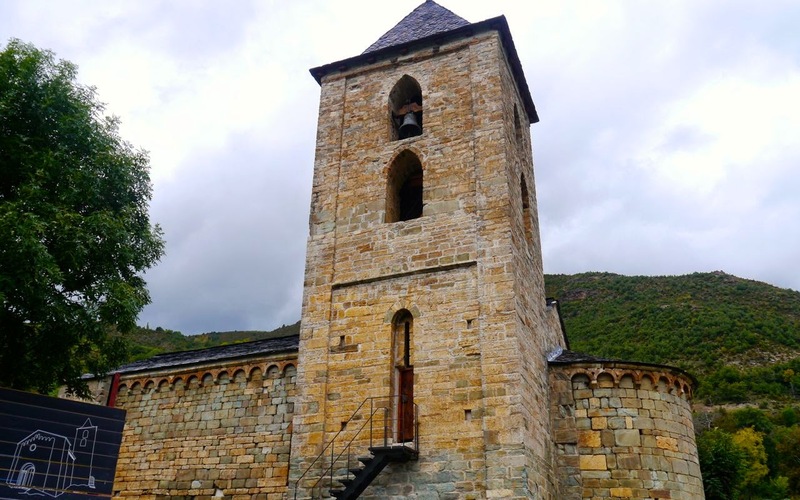 There is a route from Erill de Vall (V1) to Barruera but I was advised that it was damaged so came to Boí and joined the Cami d'Aigua (5) which starts at the bridge to the south of the village and after 21km reaches El Pont de Suert. It's a low level bad weather alternative to the GR11. 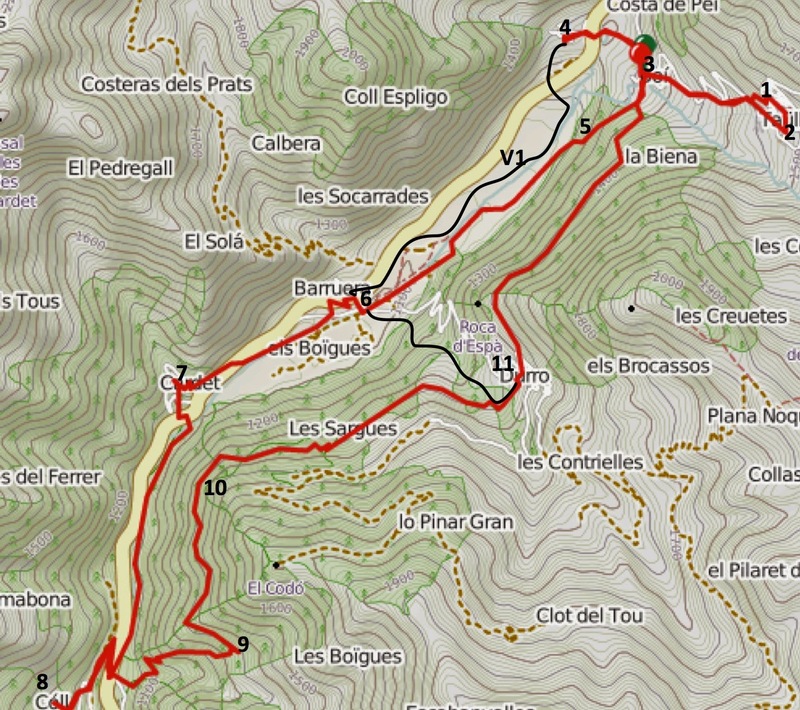 From Boí to Barruera is 3.9km and takes about 1hr 20mins. After an initial descent (particularly good viewpoint), the route crosses hay meadows in the flat valley bottom. 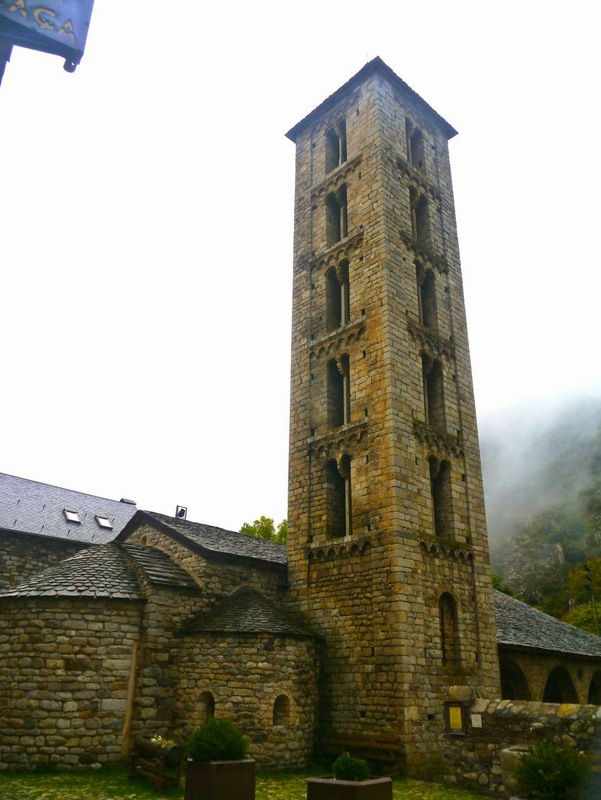 Crossing into Barruera (6) and after taking pictures of 5th Romanesque church, sensible people would choose to head east to Durro (2.4km 250m climb - marked as V2 on the map ) and then back to Boi (3.4km). The rest of the churches could be visited on a second circular walk. Less sensible people would carry on south to Cardet perhaps not aware that they're not yet halfway! Staying on the right hand side of the river, follow the riverside path until it reaches a road. 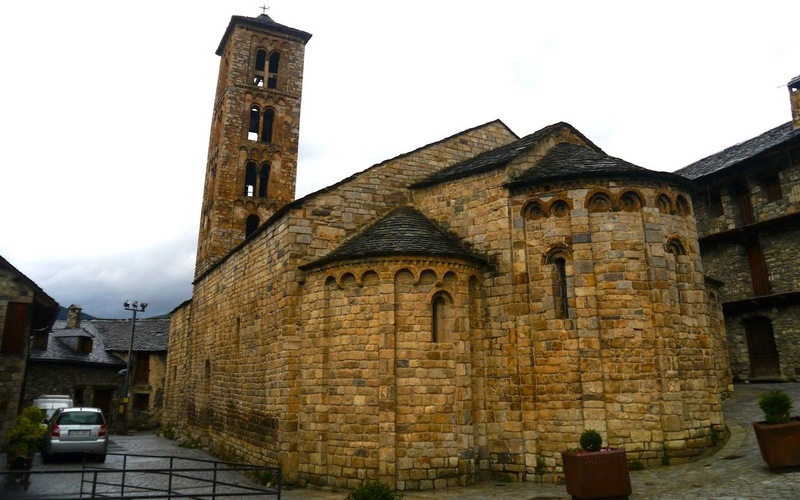 On the other side of the road, follow a way marked path up to Cadet (7) and the 6th Romanesque church Santa Maria. The path down and out of Cardet is a little harder to follow than the path up. On the southern edge of the village a sign points the way, but the path is poorly defined. Turn right at the sign and follow a path down to a stream, stay on the left hand side of the stream and after crossing a footbridge 50m later a better defined path takes you back down to the main road. The sign at the bottom is slightly confusing, but turn left, cross the road, follow the signs down to a red metal footbridge and turn right. 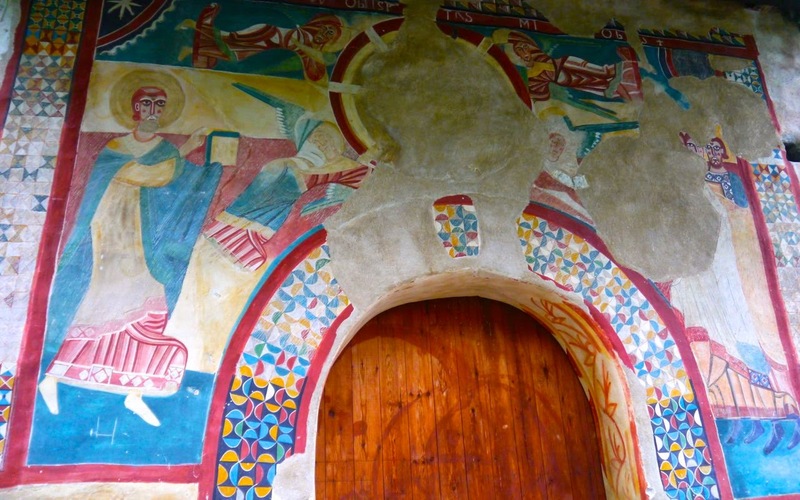 Continue south through a tree tunnel for 2.2 km, to a 'STOP' sign, turn right, walk right and then left onto the main road where, after 50m or so signs point the way up to Cóll and the 7th Romanesque church and the second one dedicated to Santa Maria (8). There is a bar/restaurant in the tiny village, but it was shut when I was there. Return to the road along the same route, but cross it immediately and head up to the Casa Capdevita, turn left and follow a path heading northeast. There are no signs or way marks, but once on the path, which is well defined, the route is easy to follow. The path climbs up a densely wooded valley in a series of switchbacks. 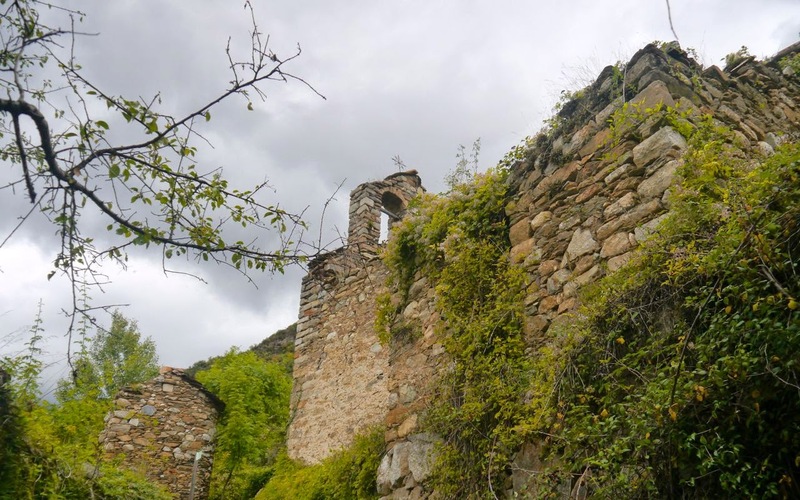 Sarais (9) is a derelict village and overgrown with brambles. Finding the exit amongst the collapsing buildings is a challenge, but it's on the western side (there is a sign on the eastern side which should be ignored) just above the point where the village is entered. The path once found is wonderful. It runs high, occasionally right under the cliff face, and for the most part through another dense tunnel of trees (10). Heading west, then north and watch out for occasional gaps in the foliage and views of Cóll, Cardet and Barruera which will seem a long way below. 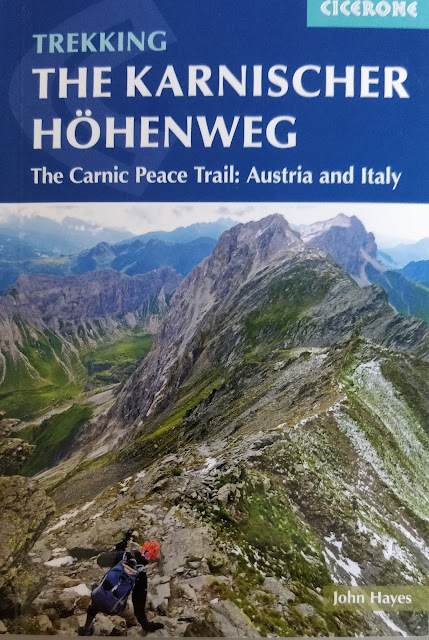 Essentially, once started it's a route that offers no choices, you might as well be on rails and after 90 mins of easy, but exhilarating walking the route splits you out at Durro. 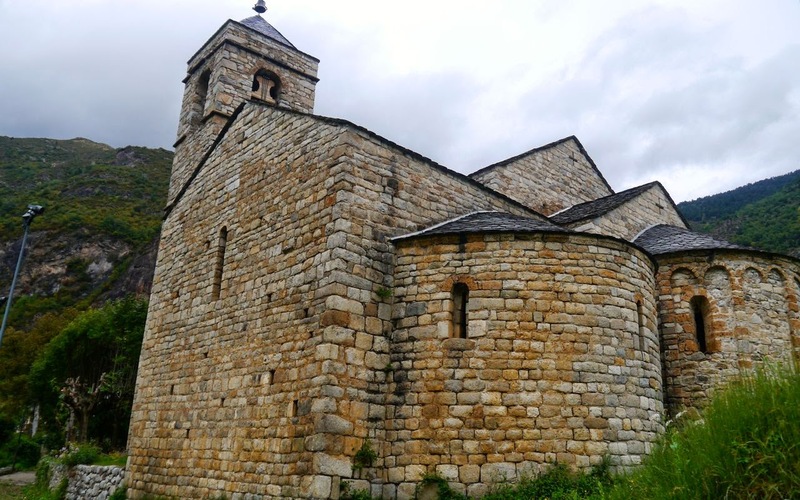 The last Romanesque church on the route is dedicated to La Nativitet de la Mere de Deu (11), although dramatic is perhaps the most heavily restored of all churches visited with only parts of the 'Romanesque' surviving. The signs to Boí suggest another 90mins (3-40km) but if you have accepted a challenge like this an hour should be enough. After about 80m of climbing at the beginning, it's downhill all the way and after about 30km of wonderful walking your back where you started.